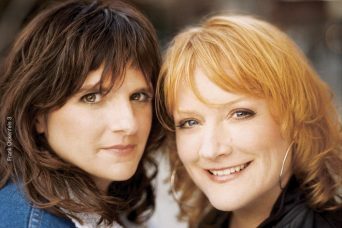 Look at a picture of the Indigo Girls. Squint your eyes. A little tighter. Tighter. Now, draw a wildly masculine mustache on Amy Ray. There. It seems so obvious now. 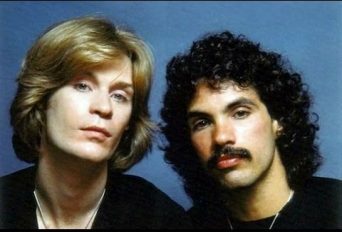 Hall & Oates are the Indigo Girls. The biggest clue is the music and the careers. Hall & Oates moved away from the music scene in 1985 as the Indigo Girls started gaining traction. Both duos sing heartfelt harmonies about love, relationships and spirituality. Most tellingly, you’ve never seen them together. Hall said the competitive part of Hall & Oates made them continue to make music as both artists because they were clearly Grammy-worthy musicians and wanted to live openly as such. Now, Hall has lost at the Grammys 6 times as Daryl. He’s ready to let it go. Somewhere Hall predicts, John Oates / Amy Ray is shaking his head. It is always this way between them. Hall / Saliers says too much, Oates / Ray says much less or nothing. Posted April 1st, 2018 & filed under Entertainment.